Welding pipes is one of the simplest and most durable ways to join piping together and steel pipes can simply be welded together with MIG (metal inert gas), TIG (tungsten inert gas or SMAW (stick metal arc) welding. Before welding two pipes together, avoid any gaps between the two pipes. 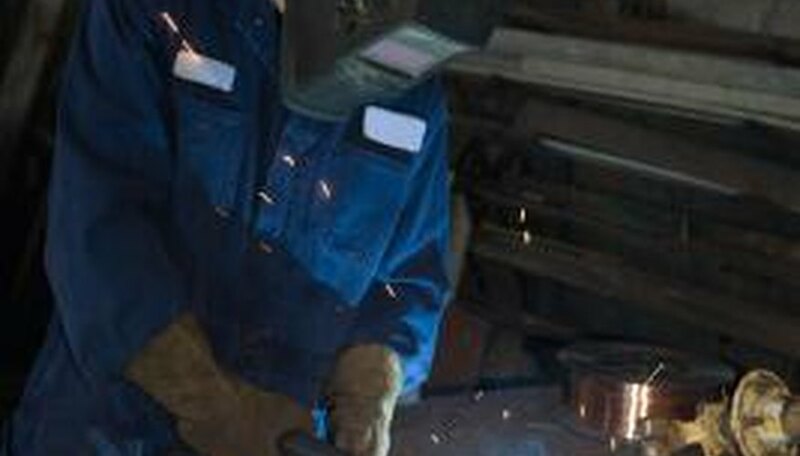 While welding, take measures to ensure the continual alignment of the two pipes. Align the two pipes and use clamps to hold them together, if necessary. Fire your welding torch or strike your welding electrode on the steel to open an arc between the welding tool and pipes. Allow the torch to form a small welding puddle on the surface of the steel, called a tack weld. Move the arc slightly and create another welding puddle elsewhere on the circumference of the pipes. Continue to move the arc and create more welding puddles until you have formed a series of tack welds at regular intervals along the circumference. Move the welding tool thoroughly along the circumference of the pipes creating a welding puddle that extends fully around the circumference and connects the two pipes together. Extinguish the arc and allow the welding puddle several minutes to dry. Lobo, Tricia. "How to Weld Steel Pipes." Sciencing, https://sciencing.com/weld-steel-pipes-8241048.html. 24 April 2017.